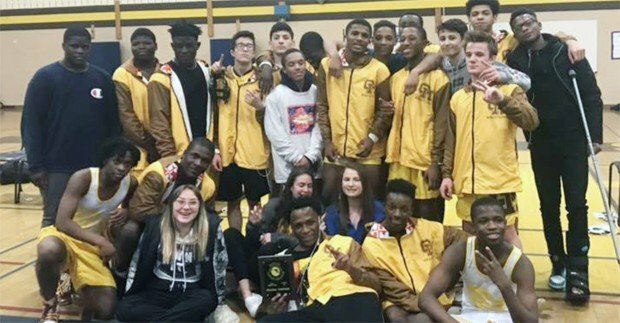 Handling hosting duties for a second consecutive season, the Owings Mills wrestling team felt pretty good about their chances of advancing to the state dual meet tournament. The Eagles (No. 15 in the Maryland state dual meet rankings) owned a 42-30 win over the No. 2 seed and likely finals opponent, Hereford. The two Baltimore County titans did not disappoint, making quick work of their semifinal opponents, then put on quite a show for the wrestling faithful on hand. 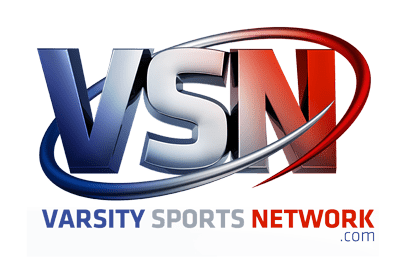 Owings Mills destroyed Crossland 66-18 and Hereford hung a 79-0 beating on Gwynn Park. Then, just as they had done a week ago with the Baltimore County Dual title, the Eagles gave first-year head coach Ryan Mackin, another title, this one, 2A North Region Dual Champions. “Me being head coach, assistant coach, waterboy is all the same,” said Mackin. “The dynamic of our coaching staff has been the same for a couple of years now, we play very similar roles to what we did played last year. It was more important to me to allow (Shawn) Girch to win it one more time. In a fortuitous draw for the Eagles, the match would start at 138. This allowed the home team’s title defense to begin with four state ranked wrestlers in a row. In an outcome that shocked no one, the Eagles held a 23-0 lead when the dust settled from the rush of those four grapplers. Chris Barnes (No. 15 at 126) punched the first of three pins, followed by No.1 Phil Smith (145), VSN’s 2018 Lightweight wrestler of the year, and No. 11 Machiavelli Amaya (152). No.1 Roell Ngounou put a tech-fall in the win column at 160. The Bulls would not fade though, they mounted their own pin attack and reeled off three in a row to get back in the bout, 23-18. Loden Harris (170), Willie Miller (182), and Jimmy Kells (195, No. 4 at 170) did the deed for Hereford. Wrestling up at 220, Diondre Space (No. 11 at 182) was able to squeeze by Nick Moore, 7-6, to stop the Bulls’ run. They bounced right back though, as Josh Goodwin got a pin at heavyweight to bring Hereford back within five, 26-21. No. 9 Damen Tiller picked up the win at 106 over Noah Traband, 7-3. At 113, Aziz Burkhanov defeated Jack Amos, 7-3, to push the Eagle lead to 11, 32-21. No. 25 Morgan Vandergrift ensured the drama would stay in play when he stuck Timur Sharipov, 4:20, at 120 to cut the Bulls’ deficit back to five, 32-27. Having a state champion in your pocket at a time like this was a leisure enjoyed by Owings Mills with two matches remaining. Alex Dufour (No. 3 at 113) stepped on the mat at 126lbs and snuffed out Hereford’s title hopes with a 14-4 major-decision of Ethan Stroh. Stroh was fresh off a JV County title he earned last Saturday. Dre’yon Eure (132) added a 2-1 win over Jack Wickiser to the ledger to push the final tally to, 39-27. The Eagles’ next order of business is the MPSSAA State Dual Meet Championships this Saturday at North Point High School in Waldorf. As the four-seed, they draw the unenviable task of facing six-time defending state dual champion, No. 4 Damascus, in the semi-finals. No. 3 Glenelg will battle Parkside on the opposite side of the bracket. “I’m happy we won, obviously, but really feel like we came out flat and didn’t really have any energy,” Mackin added. “Maybe kids didn’t manage weight right or maybe it was an off day. I’m not sure what it was but if we wrestle this way on Saturday it’s going to be a short weekend. Semifinals start at 12 p.m. with the finals to follow at 4 p.m.